Professional Fish Net with Extendable Handle - Aquascape, Inc. 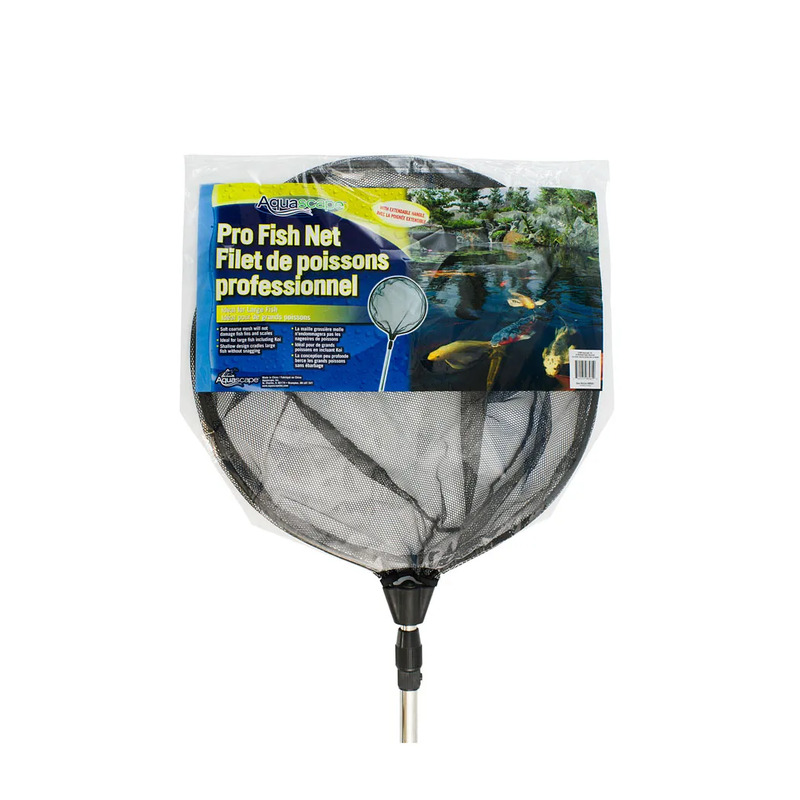 The Aquascape Professional Fish Net with Extendable Handle is a pond net ideal for handling pond fish. The soft, coarse mesh and shallow-design effectively prevent damage to fish fins and scales. The durable, heavy duty construction and large net makes it compatible with larger pond fish, including koi and goldfish. The extendable handle makes it easy to skim those hard-to-reach areas in your pond by extending from 38-inches to 72-inches. A rubber grip and lightweight frame maximize maneuverability and the nylon loop on the handle makes it easy to hang for storage.